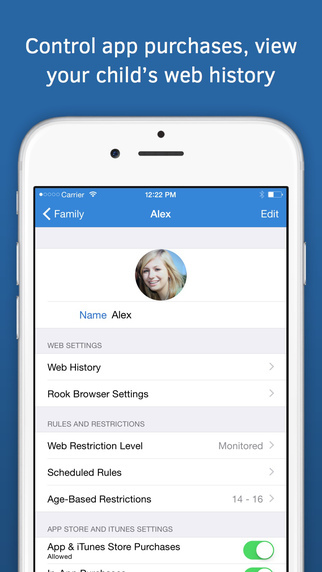 Developed by Intego,Family Protector is an iOS app that most parents have surely dreamed about. 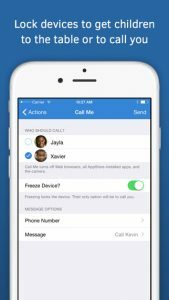 Family Protector allows you to control and limit the useage of handsets by children and teens, setting ‘device freeze’ times, locking the screen for meals, preventing un-authorised in-app purchases and more. In this day and age, almost every school-age kid has either their own smartphone or tablet, or easy access to one. 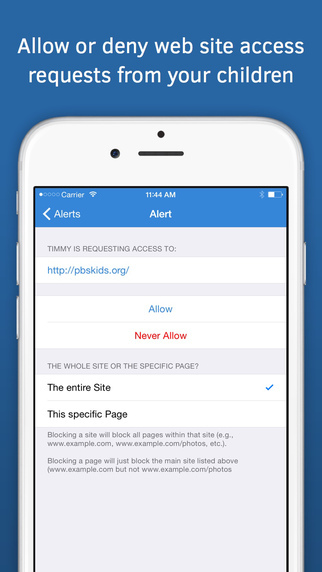 Whether it’s an iPhone, iPad or iPod Touch – all provide universal concerns for parents. There are issues around age-appropriate content (both online and in apps), use of the device during inappropriate times (during school, at meals, during study, after bed-time etc) and unexpected in-app purchases to contend with. Speaking with your child about ground-rules both before purchasing a device and whilst they’re using it, as well as education regarding responsible online behaviour is equally important here, but Family Protector gives that peace of mind and ability to enforce these rules. Whilst you don’t necessarily need to make use of every option in the app, the features are there for you to choose from. If your main concern is the use of mobiles during dinner – there’s a fix for that. If it’s the use of chat or Facetime after lights-out – there’s the ability to lock out those particular apps. Or, if it’s a combination of things including content and timing of use, there’s the ability to control each of those – and to customize the restrictions for each member of the family. The Family Protector Admin App, available from both the App Store and Google Play is a free download but does require a subscription to the Family Protector service ($5/month). You can visit their website and start a free 14 day trial here.